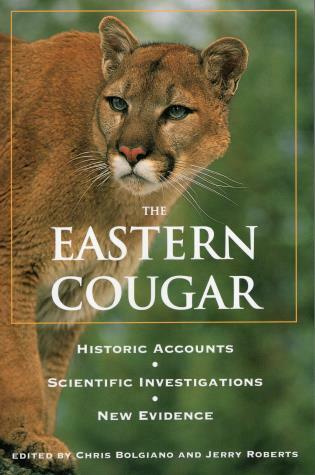 When European settlers first reached the shores of North America, eastern cougars were plentiful, ranging up and down the coast of the present-day United States. By the beginning of the twentieth century, they had been almost entirely wiped out, victims of the same rapacity and ignorance that decimated wolf and bison numbers elsewhere in the country. Today, the continued existence of wild cougars remains hotly disputed, as do proposals to reintroduce cougars to the East. This groundbreaking anthology brings together accounts of early settlers and explorers, presents pro and con arguments on the wild cougar question, and examines the social and environmental implications of reintroduction. More than just a study of a single animal, this fascinating anthology probes America's troubled history with large predators and makes a vital contribution to the wildlife management debates of today. Chris Bolgiano is a librarian and freelance writer living in western Virginia. Her work has appeared in the New York Times, Washington Post, and numerous other publications. She is the author of the books Mountain Lion (0-8117-2867-6) and Living in the Appalachian Forest (0-8117-2845-5). Jerry Roberts is a writer, editor, and critic who has written or contributed to countless books and articles on various topics. He lives in Torrance, California.